Software as a Service. Platform as a Service. Private cloud. Public cloud. Cloud bursting. These buzzwords—and many others—are associated with the cloud business model that companies of all sizes are turning to for greater efficiency, cost savings, improved internal processes, enhanced collaboration, advanced permissions, and other benefits. Although cloud terminology may seem new to many management accountants, the issues, fears, concerns, and opportunities raised by transitioning to the cloud aren’t really anything new in business. The well-known epigram, “The more things change, the more they stay the same,” applies when looking at the paradigm shift from traditional, on-premise information technologies to those accessed in the cloud. When my grandfather was a young engineer, he helped build Ford Motor Company’s electricity generation facilities at the Rouge Plant in Dearborn, Mich., then the largest factory in the world. As even a cursory look at old photos shows, smokestacks were ubiquitous. Substantially all factories and towns needed to generate their own power. Years later, my grandfather joined Detroit Edison, where he was responsible for helping Ford plug into the new electrical grid and idle much of the Rouge Plant equipment he helped install. The new grid not only provided Ford with reliable energy when it was needed, but it allowed the company to focus solely on the business of building cars and trucks. No transition of this magnitude is free of worry. Ford was certainly concerned about relying on others to provide something that it was used to producing itself. Once it plugged into the grid, Ford became dependent on others for the security, access, control, reliability, and quality of the electricity it needed to run the business. Here’s where history begins to rhyme, if not repeat itself outright. Everything I just said about the electrical grid in the early part of the 20th Century can be said about the cloud in the early days of the 21st Century. Any company relying on others to provide something that it was accustomed to producing itself must certainly worry about security, access, control, reliability, and quality. The good news: In the 20th Century, most public utilities provided their customers with superior security, widespread access, robust controls, and higher reliability and quality than most customers could ever provide on their own. The same can be said about many cloud computing providers today. Sometimes, the more things change, the more they stay the same. When considering a move to the cloud, focus first on a data governance strategy. Cybersecurity has risen quickly up the ranks of material risk factors, and data governance strategies have become a fundamental way for companies to manage and mitigate such risks. A data governance strategy should cover the availability of information, usability or utility of that information, integrity and quality of information, and security of information. 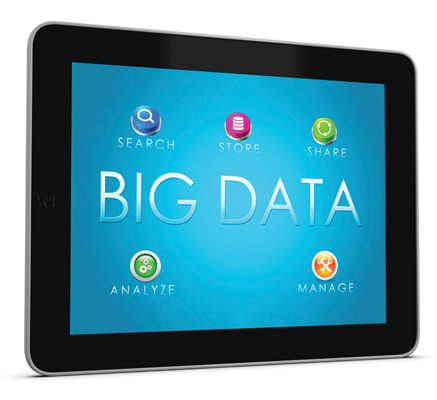 Data is a business-critical asset, and a company’s ability to manage this asset effectively is equally important. Boards and executive management must ensure that they have adequate strategies and controls in place to protect their information. 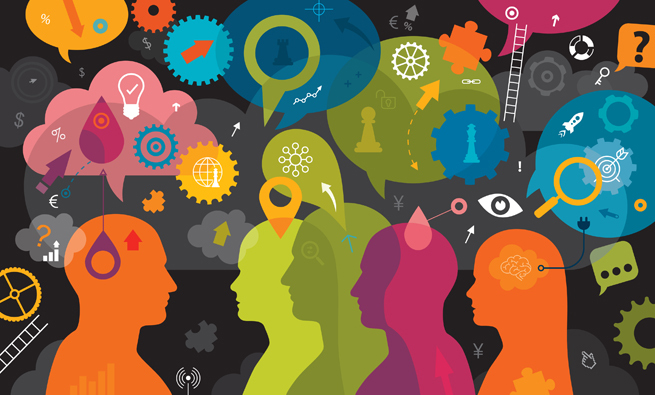 CFOs play a central role in discussions about data governance. 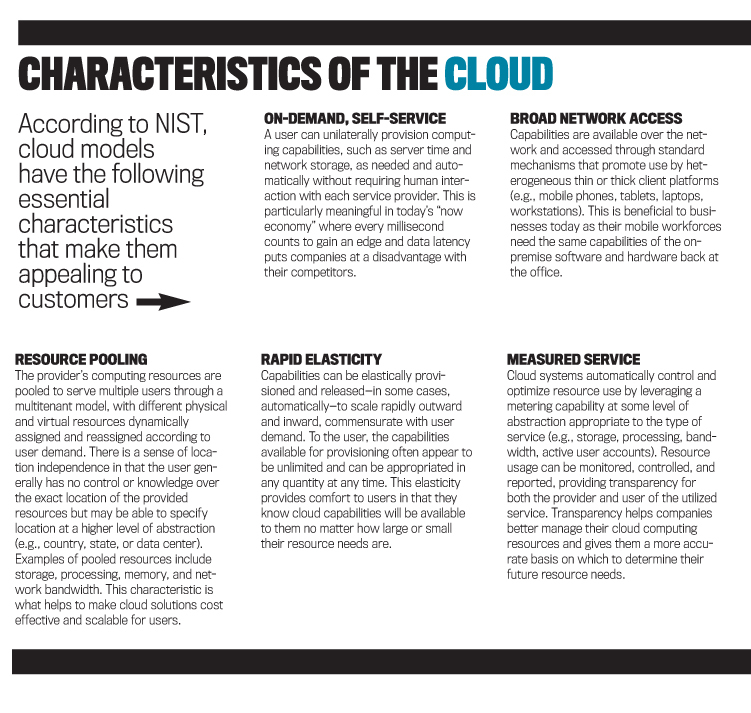 A “shoot from the hip” or experimental approach to selecting cloud solutions could be dangerous. Not only will it waste resources such as time, people, and money, but it could place valuable corporate assets such as client information or financial and nonfinancial data at risk. This is nascent territory for most companies. According to data from the Rand 2013 Data Governance Survey cited in a February 2014 InformationWeek story, almost half (44%) of the companies surveyed didn’t have data governance plans in place, and 22% of those didn’t have plans to implement one. This is an opportunity for management accountants to get out ahead of the trend and lead the effort to design a strategy that makes sense. Data governance strategies help guide companies to select the right cloud models. There are many combinations of cloud elements, and management accountants can help their company narrow down the choices to what’s most relevant to its information. 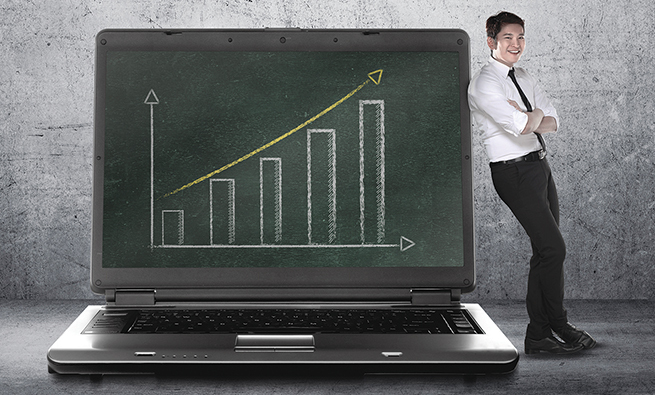 But it’s also important to understand how the needs of the business will evolve over time. This means anticipating how cloud technologies and capabilities might change in the future. Moving to the cloud is no longer limited to early adopters and innovators at the leading edge of business. Today’s cloud solutions help businesses of all sizes and types manage their complex moving parts. There are cloud-based business solutions for most key functions, including accounting, analytics, compliance, controls, monitoring, reporting, and data governance. The pressures to manage multiple moving parts and simplify the complexities of a business often lead companies to the cloud for relief. 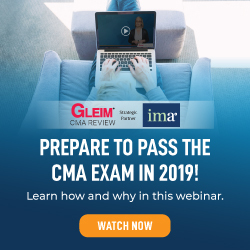 For management accountants, these moving parts can include external reporting requirements, such as SEC EDGAR and SEDAR filings; internal controls and compliance; sustainability and integrated reporting; internal management reporting; budgeting and forecasting; performance measurement; risk management; data governance; advanced analytics; strategic planning; and more. For example, many in the profession would argue that external compliance reporting requirements have become increasingly challenging to manage from a resource perspective. 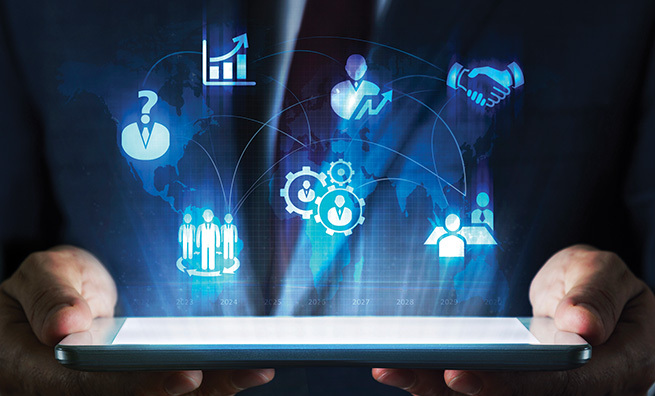 Compliance teams often are asked to do more with less and see a great need for technology to help ease the burdens of accessing, validating, analyzing, and reporting data. Cloud technologies offer a step forward in solving these challenges. Cloud users no longer have to worry about software updates and patches, limited access points to the information, or limitations on computing power. Cloud technology can free up accountants to handle more critical, higher-value activities while streamlining and enhancing lower-value processes. Security is still an often-voiced concern when talking about the cloud. In the early days of the cloud, the concern and fears revolved around the security of the data in the cloud. As adoption has become more common, there has been a shift in corporate attitudes. 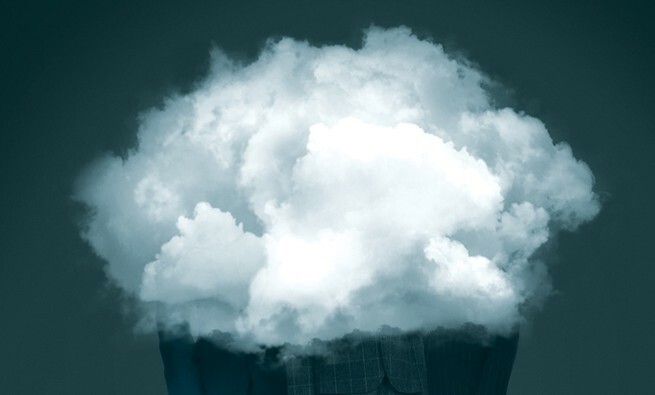 The cloud is now often seen as safer than on-premise solutions. That’s true to a certain degree, but it isn’t the complete picture. Cloud offerings can provide additional security measures, offer greater redundancy of systems, and provide a level of protection that small to medium-sized entities (SMEs) can’t afford. LeClaire notes, “The cloud offers better controls and stronger infrastructure…It always comes back to companies not having enough resources to protect their data themselves. It exceeds their capabilities and budgets to construct comparable on-premise solutions. Data centers like those of Google are too expensive to replicate on their own.” Recent high-profile breaches at retailers and financial services companies demonstrate that on-premise solutions are unlikely to be safer. Cloud service offerings may reduce internal risk, but they can’t make up for lax internal controls. The greatest area of weakness in the cloud is people—just like with on-premise systems. Providers invest millions of dollars in that infrastructure to build solid protections that are simply cost prohibitive for most businesses, particularly SMEs. But internal controls for protecting information within the company are still important. Security awareness training, proper hiring procedures, correct governance, and malware protection are still very important safeguards for companies. In-depth defense is a very necessary strategy for any business, with or without cloud adoption. 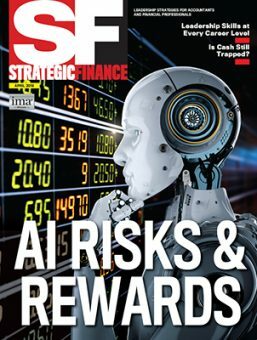 As developers of the data governance strategy, CFOs have the opportunity to enhance security around company information assets through the selection of cloud vendors that have passed due diligence and demonstrated they have proper controls and security infrastructure to mitigate these risks. So much data is being created on a daily basis that the ability to sift quickly through mountains of information in order to find what’s meaningful and relevant is a serious need among executives. As accountants increasingly become data stewards and data scientists—those skilled at performing advanced analytics—they must have cloud tools capable of meeting their analytics needs. Churning through millions of pieces of information to drive predictive and prescriptive analytics requires significant computing resources. The cloud puts powerful, scalable advanced computing at the CFO’s fingertips through high-capacity networks, low-cost storage, and amped up analytics tools and data processing platforms—something that traditionally none but the largest companies were able to do given the expense and skilled resources needed to build this capability and infrastructure in-house. An additional benefit is that these capabilities are available to companies of any size. With the cloud, SMEs now have access to powerful SaaS (Software as a Service), PaaS (Platform as a Service), and IaaS (Infrastructure as a Service) solutions that give them the opportunity to compete on a broader scale with much larger competitors. The cloud has democratized access to capabilities such as advanced analytics, multistakeholder collaboration, and more advanced computing capacity that previously only deep-pocketed firms could afford. Management accountants are in a vital place to help their companies move to the cloud. They are in a position to recognize that the cloud is indeed the “same story, different characters.” This creates an opportunity to take a leadership role in helping their company overcome the challenges of moving to the cloud and fully realize the benefits. Lack of familiarity can be a significant obstacle to the adoption of new approaches and models. Yet the issues faced in moving to the cloud are essentially the same challenges my grandfather helped Ford face—the familiar issues of security, access, control, and quality. And as was the case back then, they aren’t insurmountable. Let’s take a closer look. Designing a data governance strategy that adequately covers the cloud. Since most companies don’t have a data governance strategy to begin with, that means they are starting with no plan at all. CFOs can design and oversee such a strategy, taking into account the ways in which it will assemble and access cloud models. Vendor lock-in. A company’s needs will change over time. Be mindful of the ease with which you can switch between cloud vendors. There may be issues that make this challenging as there are no real standards currently to assist cloud vendors with client switching, similar to what happens when consumers switch mobile carriers and have to deal with added fees, the transferring and loss of data (such as contacts, phone numbers, and addresses), and updated billing info. Shadow IT. Organizations encounter problems when employees start downloading and using applications without the appropriate approvals, known as shadow IT. Given the relative ease with which an individual can access cloud solutions online with the swipe of a credit card, companies need to balance control and security concerns along with risks. A data governance strategy will help guide the company. Robust internal controls and vigilance will help protect it. Brand or reputation risk. If a customer-facing company has problems with its cloud-based system, the company itself—and not the cloud service provider—will often bear the brunt of the blame and suffer the damage to its brand and reputation. If an outsourced data center goes offline or is compromised in any way, the CFO must understand the potential impact on brand and reputation. Balancing limited choice with customization. 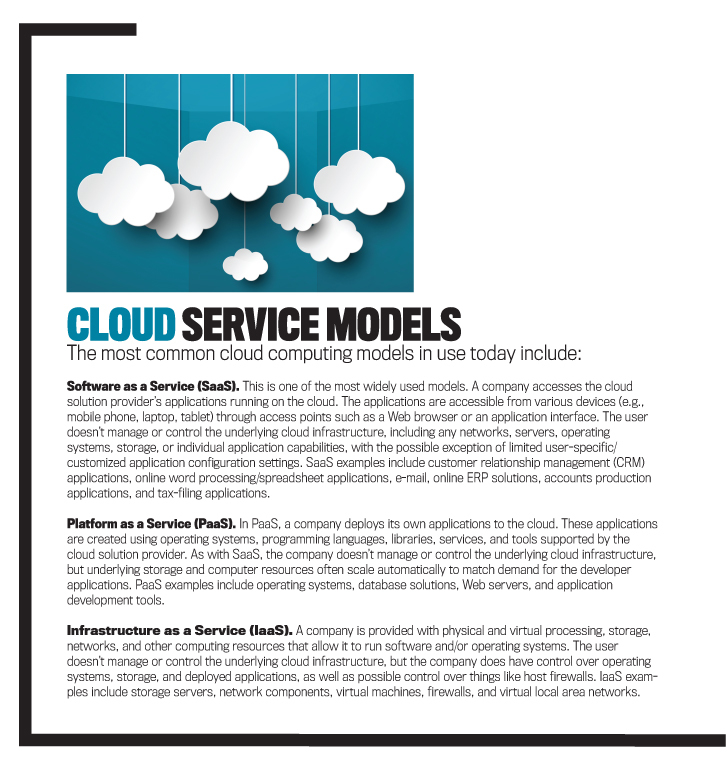 Cloud models are developed in large part to be used by multiple clients. The more customization that’s required or requested from a client reduces the overall benefit and value. Companies looking to move to the cloud need to find that balance between adapting to the functionality of the cloud technology and keeping legacy processes or standards. Enterprise readiness of younger solutions. First-generation cloud solutions may not be mature enough for larger clients to deploy. There’s a balance sometimes between innovative, nimble providers and more established cloud vendors. Due diligence will help you uncover this issue. Working with newer solutions can be an opportunity to extract more value out of your investments in that solution because it positions you to help guide its development and influence the vendor’s research and development. Now let’s turn an eye toward opportunities facing the accounting profession in the cloud. Move more daily accounting and finance tasks into the cloud. This is already being done with some basic accounting and tax functions, and it’s expected to continue. New, more advanced cloud-based accounting capabilities will be coming on board, and accountants should take advantage of them—after performing proper due diligence, of course. Manage internal controls from the cloud with continuous monitoring. As nonfinancial information and unstructured data increasingly become a part of a company’s data mix, robust internal controls and monitoring mechanisms will need to be in place to handle the increased data sets. And as the pressure increases to make smarter decisions in less time, humans need to cede some of the on-premise controls and monitoring to advanced automated cloud technologies that can keep pace with the speed of business. This leads to enhanced risk management that isn’t possible when relying solely on human interaction. 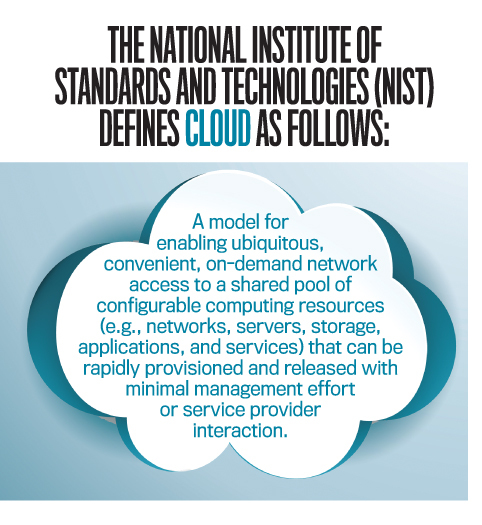 Tap advanced computing capabilities in the cloud to move up the value chain. Mixing together growing data stockpiles, condensed decision timing, multiple data formats, myriad data sources, and budgetary pressures creates a recipe for disaster if the proper tools and infrastructure are lacking. Accountants should tap into the advanced cloud computing capabilities to handle traditionally manual processes as well as more advanced analytics in order to have a better understanding of what’s happening in the business, where it’s headed, and how to adjust strategy to get it there. This moves accountants from an operational and transactional role to that of a strategic advisor who uses data analytics to drive business decisions. The role of the management accountant is already undergoing significant change, and technology is a major factor driving that change. Accountants who hesitate getting into the cloud risk being disintermediated by technology. If Ryan Lazanis is correct, cloud software will do the bookkeeping and accounting functions without human interaction. We might even see in our lifetimes a virtual accountant offered through Accounting as a Service. What does this mean? The profession must evolve. Accountants have an opportunity to use the cloud to their advantage and catapult up the value chain as business strategists who use data, analyzed by powerful tools in the cloud, to drive company decisions. My grandfather’s experience shows that the underlying challenges and obstacles aren’t new. 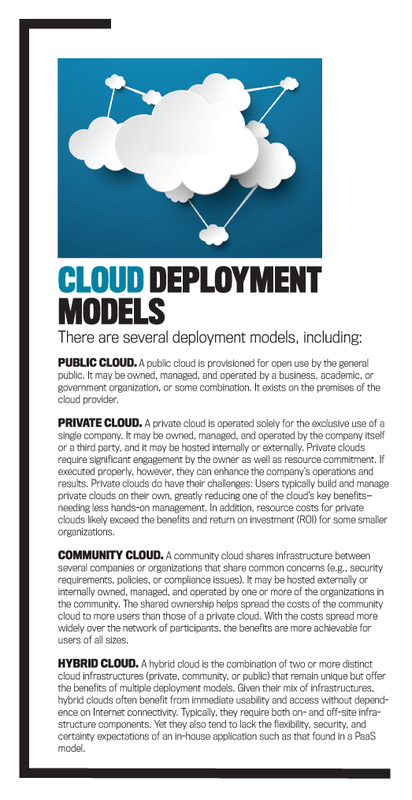 We have all dealt with these issues before with previous legacy models, and the cloud is no different. We’re just applying them in new ways. This shouldn’t keep us from moving forward. My grandfather is surely smiling right now. Joseph Howell is cofounder and executive vice president of Workiva, which created Wdesk, a cloud-based productivity platform for enterprises to collect, link, report, and analyze business data with control and accountability. You can contact him at joe.howell@workiva.com. Very helpful for someone like me who has fear of The Cloud. Great article joseph. I just wonder if there are standard data governance templates which could be adapted to specific business NEEDS? Whareabout these templates could be found? joe: I hope you’ll considering doing a follow on piece about the implications of the cloud to the 1.5 million nonprofits which have been started for mostly geographic reasoning.